Get the mp3 recordings of these interviews to listen whenever you like! I have interviewed all of these great people on my WorldTalkRadio Talk Show, Subconscious Beliefs. You can now benefit from this! Get the recordings! More than 14 hours of information! You can get this special deal for only $297 – Just send us an e-mail to request this complete offer with all the CD’s. There is no single person on earth who doesn’t have a belief system. Unfortunately very few people ever consider their beliefs and the fact that they can change those beliefs. People keep on trying to change, using willpower. They may achieve some form of success, but it most likely to be temporary and very difficult to achieve. You only need to change those limiting beliefs that are stopping you from achieving your success. The results will amaze you. 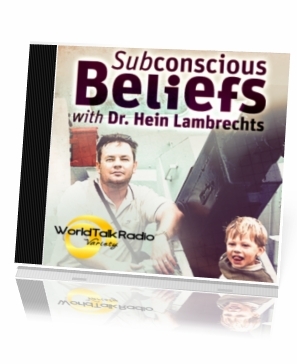 In this week’s show we’ll look at what is a belief and how beliefs are formed. The discussions about beliefs continue and this show looks at the energy of beliefs. The only possible way to make improvements and positive changes in your life is to truly know and understand how life works. The substance of life is energy and a lot of questions can be answered by just looking at this one concept. Universal laws apply equally to everybody, but if you have the right knowledge, you can have an unfair advantage over others. Join the show and get some unfair advantages! It is time to let go of the traditional way of thinking. People didn’t believe that the world is round and eventually they got persuaded by scientific evidence. Today nobody argues about it anymore. In this weeks’ show you are going to discover that the world is also a hologram. If you understand how your reality works, you’ll be able to make drastic changes in your life. 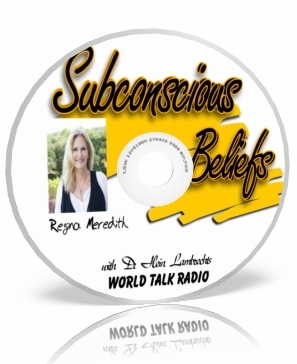 Subconscious Beliefs received a lot of questions, after the first three shows were aired. This show will be used to look at these questions of the listeners. How much do you believe in yourself? If you don’t believe in yourself, you are destined to fail. The degree of failure will be determined by the percentage of belief you have in yourself. Unfortunately most people tend to have low self-esteem. It is not their fault. They were programmed that way! Discover the types of beliefs you need to fix immediately or all your efforts for success will be in vain. Learn about the new habits you need to adopt in order to move into a higher vibrational frequency. This will help you to automatically attract more abundance into your life. The childhood behaviours of manipulation and co-dependence should not have a place in normal adulthood. These behaviours should be left behind in childhood, just like bed-wetting or thumb sucking. Once we decide to divest ourselves of this “beast,” we need understanding and tools to end it. These tools will be your Kryptonite to end it. Discover when energy sapping begins; how to recognize immediately when your energy is being sapped; what are the common characteristics of Energy Vampires (lifestyle energy drainers); what tools to use for bringing energy draining to a close in your life. Find out about the “First Law of Energy Draining” which can change your life – for the better – forever! Are you “passing time” in your life or exploding into your life? How can you change your STATUS QUO and break out of your rut? Deborah Hill is the author of two books and the creator of EXPLODE! into Life. She will answer some of the questions that you probably have been wondering about: 1. How do we limit ourselves? 2. How do we know if we’re limiting ourselves? 3. How can we target and change these beliefs? 4. How can we be successful and joyful at the same time? 5. What is the key to success? This and much more questions will be answered. Regina discusses how everything thing in the world exist as energy and how you need to manage your energy if you want to have a successful life. All of us are extra ordinary beings with much more power than what we give ourselves credit for. 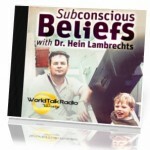 Easy ways to access the subconscious mind are one of the main themes, with reference to muscle testing and pendulums. Regina also promotes GaiamTV.com as an excellent resource for tons of information and videos on spiritual and health issues. GaiamTV.com offers the first online video library dedicated to delivering inspiration films, series and original interviews in areas related to spirituality, science, personal growth, consciousness, healing and health. What can you do to loose weight? We all know that dieting doesn’t work. Are you ready to make that lifestyle change? Gerri has been where you are now. She had managed to succeed and is willing to give you some inside secrets Listen and learn what to do to loose weight and how to maintain the weight loss. Gerri is the author of “Trust God and Buy Broccoli” and she is giving a special offer for all the listeners. Just listen to the show and follow her instructions to get this special, one-time offer. Gerald has the talent to know all about you by just listening to your voice. He can also clean your aura by just looking at your picture. Join us in this extraordinary discussion of negative energy, ghosts and lost souls. We bring negative energy into our lives by the choices we are making. People need to learn not to allow these negative energy into their lives. Unfortunately, we are going to gather some negative energy throughout the day. Gerald will tell you how to clean these negative energies that is pulling you down. Get also some inside information on how to clean your home/business from negative energies. Clearing energy can have a major impact in your life and you’ll see the results almost immediately. Join the show and get a taste of some of his case studies, from suicides to empty hospitals. Gerald Burger will give the listeners a better understanding of life and energy. Do you know that you are accumulating lots of negative energy every day of your life? Do you know that this negative energy is the cause of major problems, like depression and fatigue? Join the show and the discussion of negative energy. Learn how to avoid other people’s emotions and the resulting energy draining. Is the law of attraction not working for you? The fact is that the law of attraction is just working fine, but your limiting beliefs are preventing you from attracting your prosperity and happiness. Every belief you have has a certain energy vibration. A collection of your beliefs gives you a certain dominant energy vibration. The level of energy vibration your body sends out, determines what you attract in your life. This is the reason why your beliefs tend to reinforce themselves, because you attract energy events of the same frequency. Limiting beliefs will cause limiting events in your life. 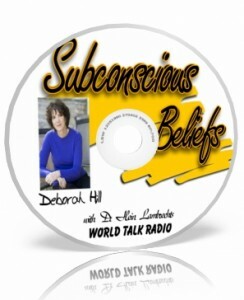 Deborah will give examples of limiting beliefs and how to replace them with power truths. The previous discussion with Deborah Hill (see 18 July 2012) continues in more depth. If you are serious about changing your life for the better, you need to listen to this show. Join us and a lot of your questions will be answered! Join the show with David Cameron Gikandi and learn more about yourself. Unmask, understand and interact with your core self. Embrace, make peace with and transform limitations and challenges to unmask their hidden gifts and powers. Why doesn’t the Law of Attraction work for you? David will discuss all the reasons why you may be struggling and gives examples for powerful manifestations. David is promoting his new book “A Happy Pocket Full of Life.” He will talk more about this book and you’ll learn how to deliberately create effective visualizations that helps create the life you truly wish to live. Reference will be made to the archetypal life journey (the hero’s journey) that is deeply engrained in the human psyche. Learn about the management of energy and how it can effect your life. Embody, live and manifest it all via practical exercises and approaches found in his new book. THE LIMITED EDITION IS AVAILABLE FOR THOSE WHO WANT TO INVEST LESS!